STOCKHOLM November 15: Global Child Forum and UNICEF signed a Memorandum of Understanding today reinforcing the two organizations’ continued collaboration working to promote the rights and well-being of every child. Both organizations bring to the partnership their unique strengths in children’s rights, most notably in the area of encouraging corporate engagement in supporting and respecting children’s rights in their operations and communities. The MoU signed today the Stockholm Royal Palace underscores both organizations’ commitment to working more closely together on programs and projects of mutual interest. “We are happy to have a continued close cooperation with the Global Child Forum to keep inspiring and challenge businesses to support children’s rights. Together, we can reach and influence more businesses, governments and civil society actors in the best interest of children,” says Gary Stahl, Director of the UNICEF Division of Private Fundraising and Partnerships (PFP). Global Child Forum and UNICEF have been working to advance children’s rights in the corporate sector and are guided by the United Nations Convention on Rights of the Child (CRC) and the Children’s Rights and Business Principles – a set of 10 principles that guide business in how they can address children’s rights in their sphere of influence.  UNICEF has long been an important knowledge partner for Global Child Forum – supporting the organization with their insight, data and tools. Together, the two organizations are developing the Children’s Rights and Business Atlas – a free online risk assessment tool for business. Their next engagement will be around the upcoming Global Child Forum at the Stockholm Royal Palace on 11 April 2018 which will gather 400 influential international decision-makers from business, government, civil society and academia to address some of the most pressing issues around children’s rights and the corporate sustainability agenda. Follow us on Twitter, LinkedIn and on Facebook.